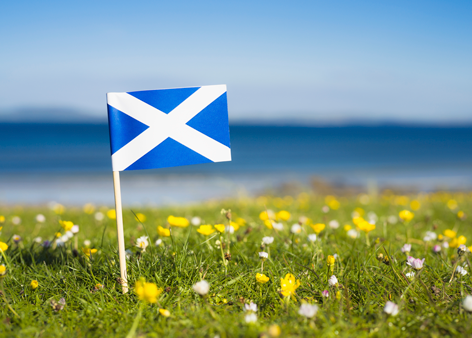 Fintech in Scotland has attracted nearly £37m in investment over the last 10 years with an emerging ‘ecosystem’ which brings together start-ups, large firms, universities and the public sector, said the Scottish Government. Scotland is now a key location for many international firms, such as J.P. Morgan, HSBC, Morgan Stanley, NCR, Ingenico and Avaloq. J.P. Morgan’s European Technology Centre in Glasgow is a key strategic technology hub with 1,300 employees.Deloitte’s 2017 Global FinTech Hubs Federation report highlighted Edinburgh’s high concentration of key elements, and outside London and the South East, Scotland has the most complete financial and business services industry cluster in the UK. Economy Secretary Keith Brown has been in New York this week to mark the 20th Anniversary of Tartan Day. As part of his programme he met a number of senior financial services representatives at an event hosted by Aberdeen Standard Investments to advance opportunities with potential trade and investment partners. “The financial services sector is transforming globally and this offers a wealth of opportunity for Fintech in Scotland which will open new markets and encourage innovation,” said Brown. “Our universities have helped fuel this growth by supplying a pipeline of graduates with world-class technical skills. Scotland’s universities are already leaders in many of the technologies that drive this transformation including artificial intelligence, data analytics and blockchain. “The global financial services sector will continue to be transformed by technology. Scotland’s focus on Fintech has created an environment that will help these firms evolve and support the growth of start-ups. “Scotland’s strengths in the sector are largely based on its data expertise. The Edinburgh City Deal, with its focus on data-driven innovation, is a key element to the future growth of Fintech.